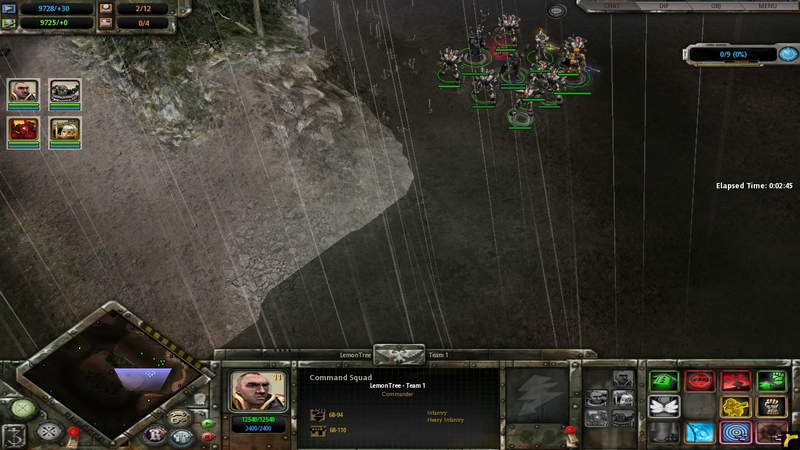 The problem is since IG commander default UI only have up to 4 unit as leader,the other leader that i have add during modding doens't apear the icon and therefore can not be produced so anyone know how to add more icon ? My 2nd question is what is the different between a normal squad and a "advance" squad,is that suppopsed to meant for unit update ? That is the game limitation. For that you need free UI. Gambit is one who knows how that works, guess he might answer you question to that if he has some free cycles. What is the reason to want 9 commanders (from all vanilla races) as command squad . Well whatever floats your boat I guess. And with RelicNews closed down, the endeavour is now a bit challenging. Try by yourself, and post ANY QUESTIONS you have, here. And we will try to help. 1] See the race bps folder, for the specifics of each race. Have a look at the space marines race, and study EVERY extension! 2] Create a copy of that, rename it, and start putting your own names/paths. A good way is to have a look into one of OUR OWN races!!!! The attrib folder in our races, hold all the required files. 3] For art and new models, things are a bit complicated. For now, experiment with the EXISTING ones!!! 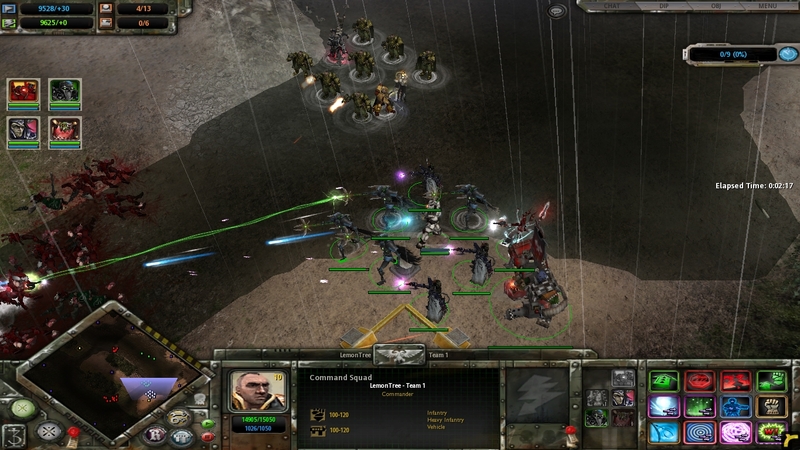 The engine supports up to 4 different leaders. 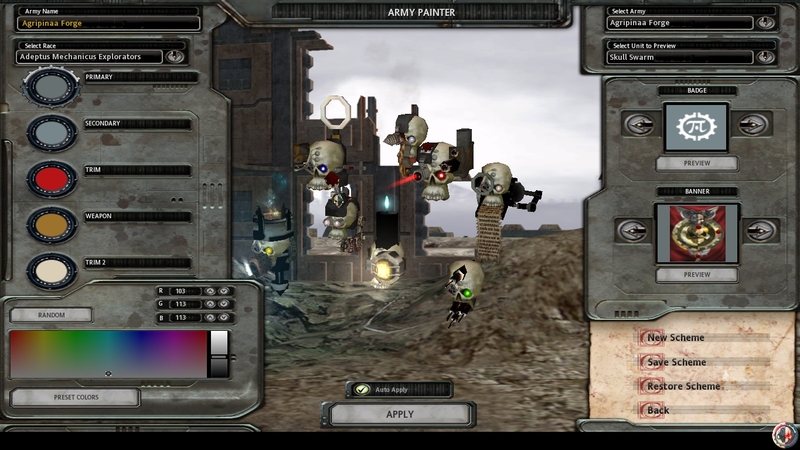 So you can have the main troop entity and 4 leaders, for a total of 5 different entities per squad. Technical: I am 99% certain that even SCaR cannot force more than 4 leaders. I guess the SquadID has a "leader sub-class" limitation on how many leaders it can hold - not to mention AE/Engine limitations. Edited by Gambit, 21 April 2018 - 01:33 PM. Feel bad men.But not too bad since i can just add 2 different squad with different 4 leader.I do encounter a bug that if i done recuiting my 1st leader (in the picture above would be force commander) i won't be able to add other commander (the icon are still visible but click on it won't help) is this an expected bug ? First, I suggest you should INCREASE the number of leaders. Also, set the desired cap to each entity, but remember, if each squad can be recited MORE than once... I will have to see it MYSELF. Otherwise, only a few can code it properly - it is VERY difficult, unless you know EXACTLY what you are doing! Also my 3rd question,can you make squad being able to attach ? Edited by LemonTree, 22 April 2018 - 07:59 PM. 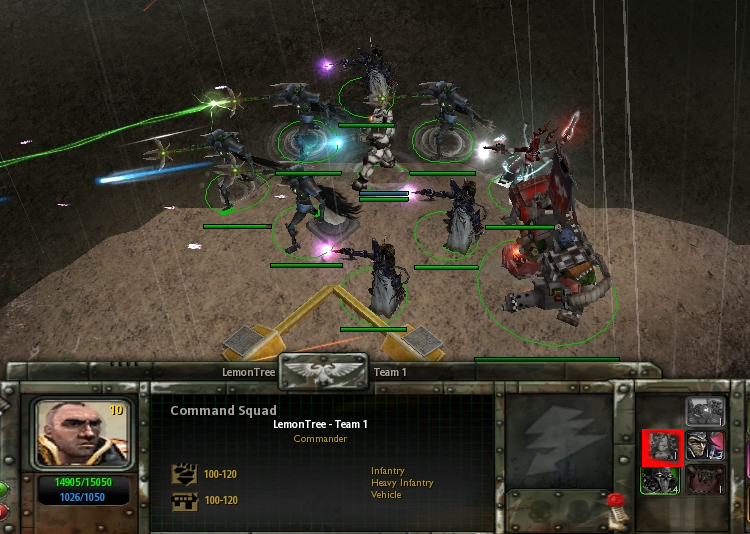 Only single-entity squads are able to attach. Let say i trying to make said squad of commander being able to attach,is that even possible ? Edited by LemonTree, 22 April 2018 - 08:38 PM. No, but you CAN have it be able to receive attachments. This way, your squad will have a total of 6 different members. I have NEVER tried that one, but I am 99% certain it won't work. Still, I am curious for that 1%... Can you try it and report back? Remember, ALL squads that will be able to attach AND receive attachments must be single-membered. It is a model thing. Each skull (well every 2 of them) are part of a hardpoint of the model. So enabling that hardpoint "spawns" the skulls. Remember, it is still ONE unit, the skulls cannot move independently. ... Which means you would be able to do that with heroes, but expect them FIXED, as one model. It will possibly be ugly, rigid (FIXED formation), and would require loads of 3D and AE work. Brother i have tried that on commissar and it working but not as i expecting. I was able to attach one commissar to another but the third one will not be able to attach since the 2-attach one are considered attached. Yes, that is the expected behaviour. Brothers , i beg to ask you about fixing a bug that have been trouble me lately,regardless of whatever member is ,once i done add my leader 1 of 4 leader squad other leader will not be clickable (you can click on them but they are not respondsive),although i do found a work around as somehow increase said leader cap to more than 1.So long as i able to build the leader 1,all other leader are buildable.Anyone know how to fix this ? I'm sorry to say I'm clueless on this. However; I'm sure they're members that know the answer to your question. The "bug" your referencing may not be fixable? Especially without the use of something like say FreeUI! FreeUI being a very useful mod to alter UI & such. I'm not familiar with the code on the back end & the coders technically "responsible" for the mod are to my knowledge only semi available if they're even able to be contacted at all. I'd recommend speaking with those you've been speaking with in the thread TBH. Fuggles, Gambit, Kasrkin84, Thudo, Etc. Perhaps you might want to try the Discord server. I believe it's ok for me to invite so the following link is to the Discord server & is good for 24 hours. As since I'm not positive didn't want to post a permanent link. Edited by Industrial_Strength, 24 April 2018 - 01:25 AM. I don't really get it. Can you upload the problem? Sounds like a requirement or leader cap problem. Is there any solution to this other than just remove the cap ? Edited by LemonTree, 24 April 2018 - 08:08 AM. This is a VERY nasty issue. I have only recently encountered it myself! 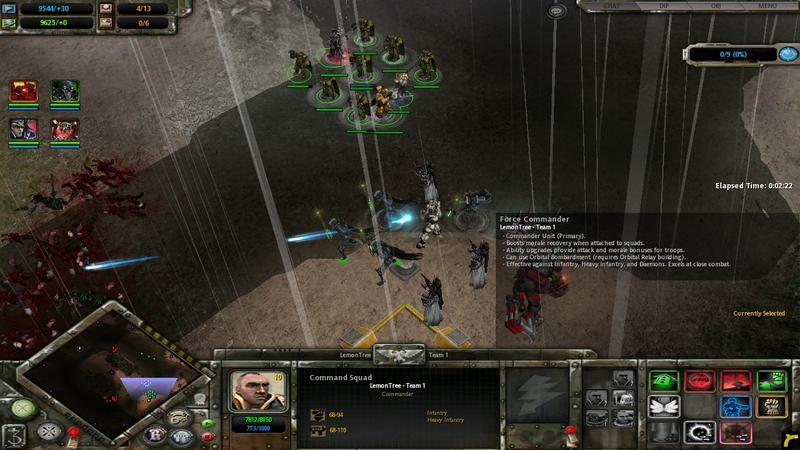 2] Set the normal entity requirements to each commander leader, but DO NOT set any cap requirements. And definitely, DO NOT SET any cap requirements to the FIRST leader! It may sound irrational , but if you do it right, it WILL work. Trust me. Just check our Ultramarines, and you will see it in action!